So, I guess were getting pretty serious, you and I. We've been in this blog-ationship for a whole year now and well, I know it's a kind of a big deal so I wanted to get you something really special...but you guys are like so hard to shop for and I wasn't sure quite what you wanted so I did some serious thinking and decided that you come back to me each day to hear about the things I currently covet, so I put together a little compilation of some of those very things. I hope you like it! Happy Blogiversary!! It's really amazing to me that I have been blogging for an entire year now. I know some of you might be thinking "uh, so what, I've been blogging for much longer than that sista!" but for me it's quite a feat as I usually can't even commit to a project or hobby long enough to reap the fruits of my labor (my "craft" bin is full of half crocheted scarfs, unfinished jewelry, and canvases still wrapped in plastic). I really do think a large part of the reason I was able to stick to it this time is all the wonderful people I have met through this blog (in real life and virtually) encouraging me throughout my experience. I just want to take a minute to say thank you so much, I am always so stunned that people actually take a couple minutes out of their days to peak into a small part of my life. I appreciate your readership so much! Thank you again! I love my little blogger fam, you all are the lights of my life! (for now...until you get bumped down the list when I eventually get knocked up). Now enter to win some of my favorite things!!!!! Yipee! Your blog is a daily read Erin. Love it! Congrats on your Blogiversary! Love your blog! You're so generous - URBAN SUNGLASSES and ESSIE nailpolish is already a huge treat!!! But more on top of that. Congratulations, a year is nothing to scoff at - such hardwork - I know!! Happy blogiversary! I'm so glad that I stumbled across your blog a few months ago. Your posts ALWAYS brighten my day. Congrats on the one year blogiversary!! 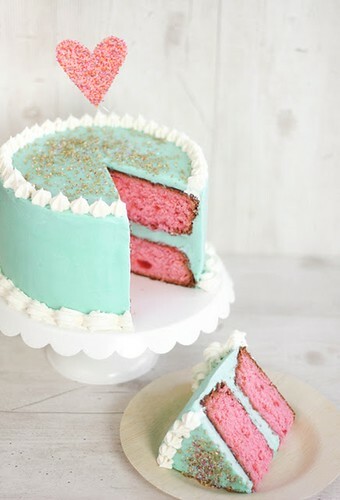 Also that cake, ohmygosh, gorgeous. Can these Pinterest things really be made in real life? Happy blogiversary! I only recently started following you, but I look forward to year 2 :) Congrats. Congratulations Erin!!! The giveaway is awesome, but I'm so excited for you! a whole year is awesome! Congratulations girl!!!! Very excited for you. Congrats on 1 year, love!!! And here's to many more!!! I (of course) entered the giveaway. Hope I win the goodies! I wanna be a part of this! So amazing :D I really hope I win ! Happy blogiversary!!!! Here's to many more!!!! Congrats, Erin! I hear you...it is an accomplishment because I can't seem to commit to things for very long either! It's something about the relationships we make through this crazy blogging world! That's what keeps me going too! I am so proud of you and you know how much I love your blog!! Congrats on the blogiversary! So sweet (and fitting) of you to host a giveaway of your "currently coveting" items! Happy Blogiversary Erin! So exciting - congrats! Congrats!! Such a great accomplishment!! This sounds like a pretty great box o' goodies. i heart your blog and your giveaways!! Happy Blogiversary! Congrats on one whole year of being totally awesome, love your blog! Erin, you are such a sweet heart, and I am so happy to have "met" you through our blogs. You have an amazing little slice of the internets, and it makes me smile every day to come over and visit! Congratulations! Happy Blogiversary! Have fun celebrating and that cakes looks de-licious! Happy Blogiversary! I just came across your blog and I love it! And you are fairly local to me, thats awesome!! To many more years to come. Congratulations on your 1st anniversary. Thanks for the giveaway. Crossing my fingers. Happy Blog Anniversary!! So happy to have found you via JewelIQ and can't wait to read more! Just entered the giveaway! Happy Blogiversary!! What a fun giveaway, I just entered! Happy anniversary!! Love that cake pic!! And you are too sweet and cute which is why I love your blog, but I am stoked about this giveaway! Happy Blogiversary for a new follower! I just found your blog by way of you commenting on mine! You are too cute! Love your post! You're so real, which is why your blog is so great. Keep doing you, girl. We love it. Happy one year! What a cute give-a-way!